Kahlo's Nina Con Collar, (Girl With Necklace), which had not been seen publicly for six decades, went to an unidentified European buyer. The 1929 oil on canvas is among the first 20 of the Mexican artist's 143 paintings, Stein said. The work, whose subject is about 13 or 14, prefigures hallmarks of Kahlo's self-portraits, including winged eyebrows and a full frontal gaze. Kahlo died at age 47 in 1954. The following year, her widower, the muralist Diego Rivera, gave Nina Con Collar to one of her studio assistants, who hung it in her California home for 60 years, according to Stein. The work came to light when the unidentified former studio assistant, now in her mid-90s, contacted Sotheby's last summer, Stein said. In international art markets, works by Kahlo have fetched more than any other Latin American artist, according to Stein. 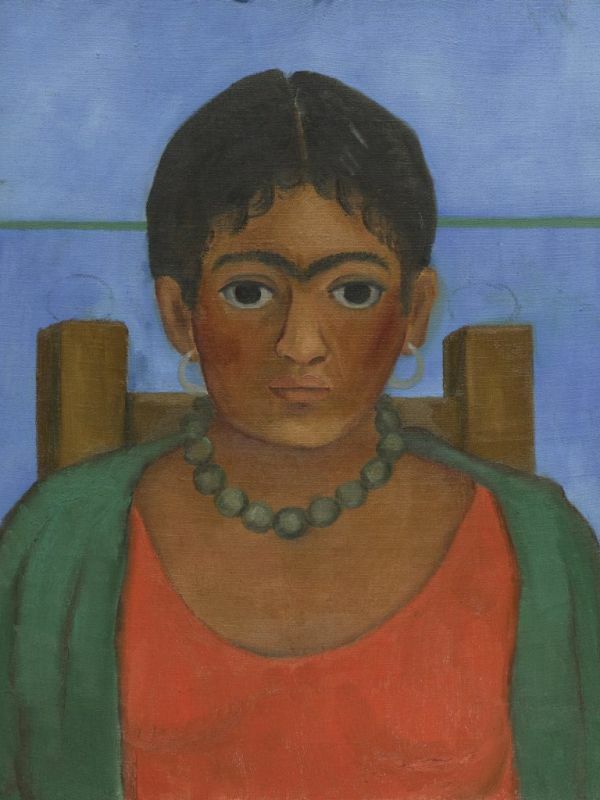 Last May, Christie's sold a 1939 Kahlo painting for $8 million, an auction record for her work. Sotheby's has privately sold Kahlo works for more than $15 million each, said Dan Abernethy, an auction house spokesman. One reason Kahlo's works are so valued in the international market is that Mexico barred their export for several decades under laws to conserve the country's cultural heritage, Stein said.